For those of you who like reading Wiki pages, here is your link you should check out. It is kinda funny that they use my photo for the main mage on the site. I guess I should be flattered. This site is dedicated to all things 301 and all things Turbo 301. It is a great resource for the Turbo Trans Am and Pace Car owners out there. Great forum to check out and become a part of. They have been around for quite a while much like the forum here on this site. Ever thought of what the Trans Am would look like if Pontiac was still around? Check out this site. Ever thought of what the Trans Am would look like if Pontiac was still around? Check out where it all started. If you are looking for a Trans Am to purchase, look no further. Rick is a great guy and he has alot of nice cars for sale. 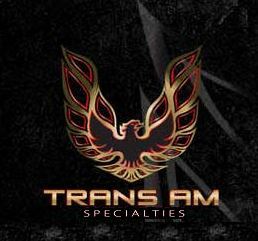 If you are looking for a Trans Am to have restored or you have one that needs the store, They are the best in the business. Above are some link to various Trans Am Clubs. Check some of them out, they may be worth while.